Today 4trickers is back again with a latet trick to how to get unlimited 100 off in idea so be ready to grab this offer. 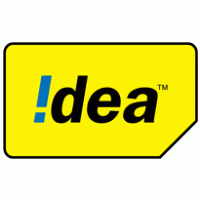 We have bought Loot of The day for Idea Cellular Users. Now Idea Users can get Free Paytm Cash Upto Rs.100 From IDEA SUPER CHALLENGE contest. If you are an Idea User then All you have To do is just Answers some very simple questions And you will be eligible for Free Paytm Cash of Rs.100. 3.Now send a message CAR to 53111.